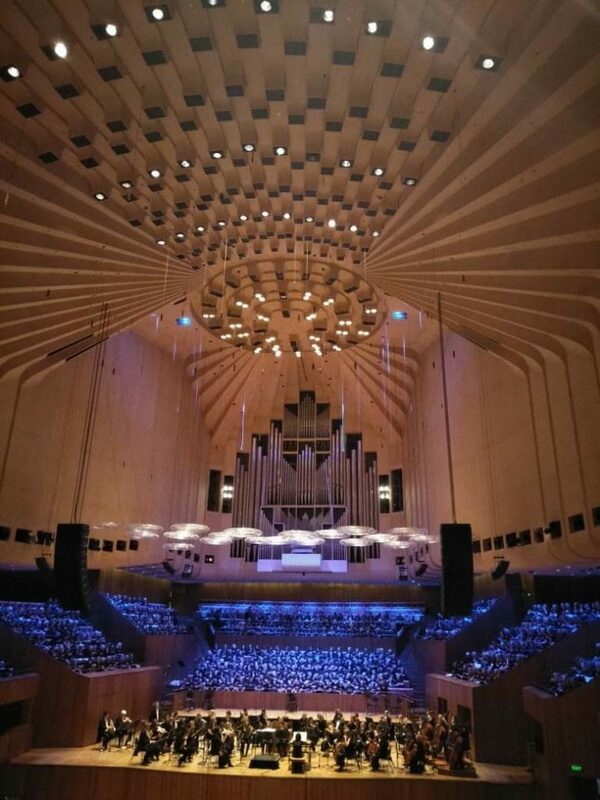 This week I’m departing from the topic of gardening because I’ve just had a wonderful weekend during which I had the privilege of singing, along with 599 other people, in the Sydney Opera House. 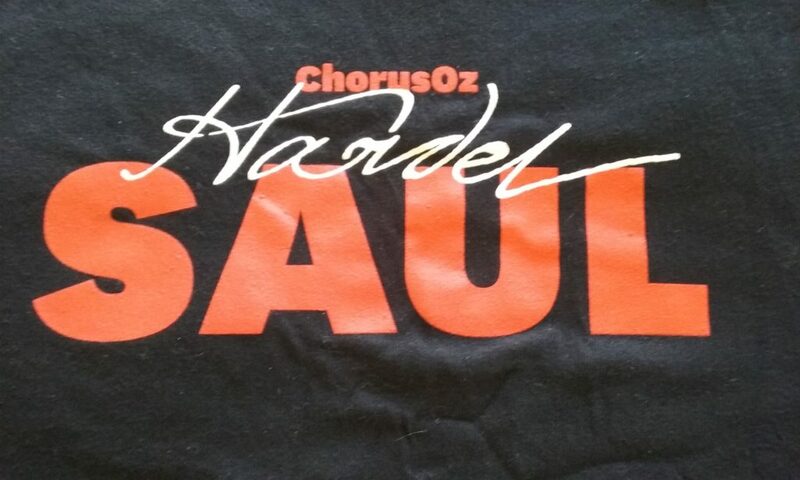 Each year, for the last thirteen years, Chorus Oz has provided enthusiastic choristers with the opportunity to take part in a massed choral performance of an oratorio. This year, Handel’s ‘Saul’ was performed. In case readers get the wrong idea, no particular expertise is necessary, apart from being able to sing in tune, and being prepared to pay a fee. There is no audition. Prospective choristers are sent a score and a CD with the the voice part (in my case soprano) on it. The rest is up to the participant: practise the part at home until you know it well, and then present yourself in Sydney on the long weekend in June, prepared to take part in a workshop, a rehearsal and a performance in the Sydney Opera House! It’s not a small undertaking really if like me, your music reading skills are fairly rudimentary. There’s certainly a challenge and also a great sense of achievement when you realise you’ve mastered those trills and high notes and learnt the eighteen choruses. On Saturday, expectant choristers met together at the rehearsal venue for a full day workshop with our musical director, Brett Weymark. In he bounded, leaping up on to the rostrum, flinging his arms in the air and carolling, ‘Hello-o-o!”, his fingers fluttering like five-winged dragonflies. A one man song, dance and comedy band who soon had us all in his palm like ants to a sugar cube. We found ourselves doing faintly ridiculous warm-ups like pretending to chew steak while singing scales. Try it! The day flew by as we sang our hearts out, laughed and were entertained by this multi-talented person. Oh yes, and we worked very hard too. The whole of Sunday was spent at the Opera House: just the choir in the morning, polishing and re-polishing, getting the correct intonation, diction and volume, and practising our sits and stands. No one wants the choir leaping up to sing at the wrong moment! In the afternoon the orchestra and the soloists arrived, and we rehearsed with them. It was an amazing achievement: none of these groups had rehearsed together before this day, and it all came together almost without a hitch. Finally, assembled before an audience in the huge, vaulted Concert Hall, there we all were: a 600 strong choir, soloists and an orchestra complete with harpsichord and carillon. It was an electrifying performance and thrilling to be part of a huge musical enterprise as we swayed and sang, and even marched on the spot and sang. Swaying and marching don't usually happen in an oratorio, and I'm sure our actions added spectacle to music that is already full of drama. I didn’t have much of a voice left at the end of it all, but I was uplifted and inspired by the experience and am already looking forward to next year's performance of Beethoven. Taking photos during a performance is quite rightly, not allowed at the Opera House, and most of the photos I took with my phone during rehearsal were blurry. I must have been too excited to hold my phone still. The photo above was taken during our rehearsal with the orchestra. The photo below, however, was taken just before the start, by my daughter who, with my son, attended the performance. Did I manage to fit in a trip to a nursery on my trip to and from Sydney I hear you ask? Of course! Two, in fact. Next Post Six on Saturday, June 16. I wondered why I didn’t see your Six on Saturday, Jane. What an amazing experience and adrenaline rush for you. Did someone put it up on Youtube? I would love to see a little bit of it. https://m.youtube.com/watch?v=k8LtMEHaqgY Saul was performed at Glyndebourne UK and also in Adelaide last year. It was produced as an opera rather than an oratorio and must have been electrifying to watch. I’m posting the opening chorus for you to watch. That is an amazing experience Jane, a memory to be treasured. I can feel your excitement coming through in this post. Had you done it in previous years? I did it in 2016, Pauline, when it was Handel’s ‘Israel in Egypt’. It was even more exciting as it was the first time I’d taken part. Sounds like an exciting day, Jane. 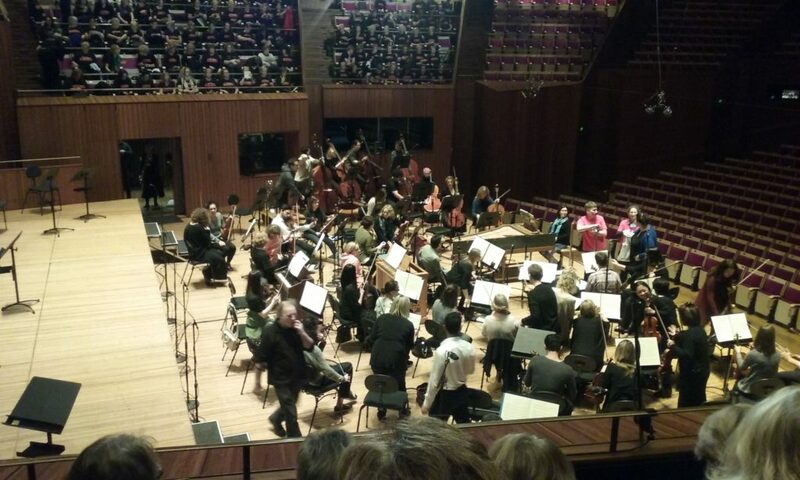 The thrill of singing in the Opera House alone would be enough, let alone being part of a 600 strong choir. Yes, Vicki, I can’t get over the sound of all those voices. Must have been full volume out in the audience! Sounds amazing, well done. I speak as someone who can’t sing in tune at all; so just a bit envious. Thanks Christina. One good thing about it is that you don’t have to be a wonderful singer to take part, which is great because it opens it up to so many more people. And I’m laughing to think of you doing that, Lis! How exciting, Jane! Congratulations! I can’t carry a tune (even when singling “happy birthday”) so it’s not something I’d even try but I can appreciate the feeling of being part of an ensemble like that. The good thing about it Kris, is that anyone can join in. And there are so many singers, if you make a mistake, it isn’t really noticeable! Actually, I couldn’t always hear myself singing and just had to hope I’d got it right. The experience of singing on stage at the Opera House would be well worth the hard work, Jane. How fantastic to be able to say you’ve done this. I haven’t heard about this opportunity before. It sounds like a lot of fun. You could do it too, Carol! Thanks Ali, and what a wonderful memory for your Dad. Thanks for sharing. I love that your enthusiasm for life extends outside your garden. It was certainly an experience for them, Eliza, a long way from the kind of music they usually listen to, but they enjoyed it as well as the experience of being in the Opera House.